A Dutch Baby Pancake is an impressive, yet easy to make, way to start your morning. 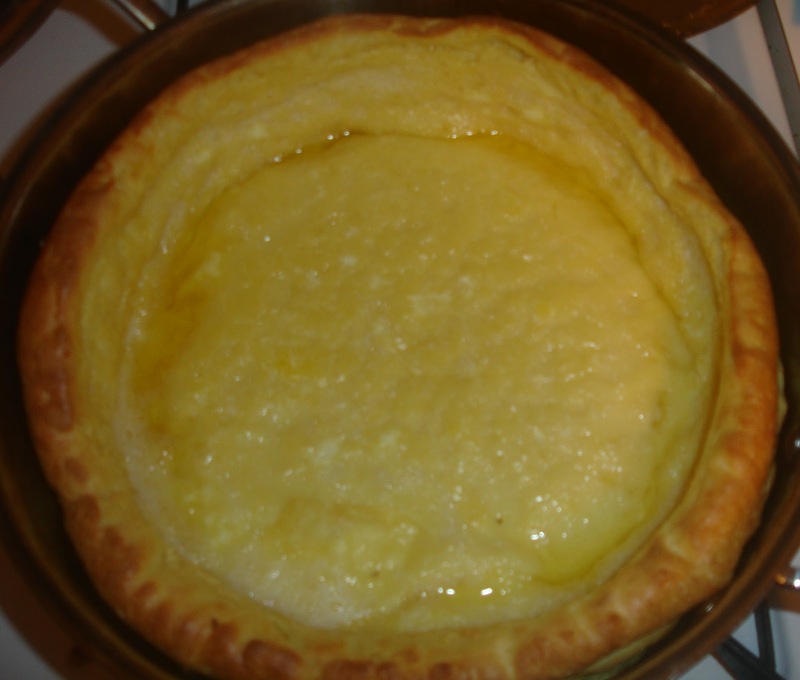 A Dutch Baby is basically a cross between a pancake and a popover and is tremendously popular in Seattle; according to local lore, it originated at a restaurant there called Manca's. Serve it with fresh berries or nothing more than jam or a lavish sprinkling of lemon sugar. You know the drill. Wet ingredients in one bowl, dry ingredients in another. Add dry ingredients to the wet ones and whisk to incorporate until lumps disappear. Grease (generously) a 12 inch stainless steel skillet with vegetable oil. (Butter will burn!! is not the best option folks). Place the greased skillet in the oven for 10 minutes. Bake at 450 for 15 mins then reduce heat to 350, and bake 8 mins., or possibly till puffed and browned (Keep an eye on it). Remove skillet from oven. 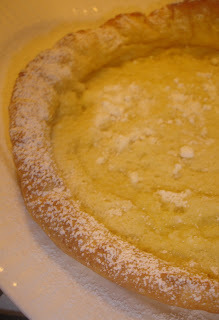 Sprinkle with lemon juice and dust with confectioner’s sugar. Apple topping: Caramelize Granny Smith apples with a bit of butter, then add honey and cardamom. Pour the mixture after the pancake is done. Note: Do not open the door. Opening the door will cause the pancake to fall like a soufflé. I going to try this after I have recovered from my gluttony of the holidays. Looks yummy. Thanks for sharing.